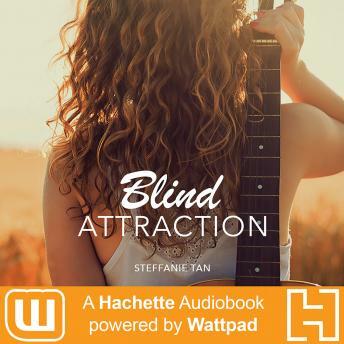 BLIND ATTRACTION is a new release from Hachette Audiobooks: Powered by Wattpad - an innovative collaboration between Hachette Book Group, a leading publisher, and Wattpad, a passionate storytelling community of over 45 million people. Your favorite online stories, now available in your headphones! Challenged to extraordinary feats because of her temporary blindness, the last thing Marley expects is to have a hospital roommate for companionship. As she navigates her sudden new world, Marley finds herself growing in the presence of Blair's outgoing personality. Meanwhile, the mysterious Blair has forgotten what it was like to befriend someone 'normally', to have a chat or just take a walk together. Though he appears to indulge in this novelty at first, he can feel himself change in Marley's presence and go beyond the limits to get to know her. He constantly teases himself with the option of telling her the truth about his life, and is baffled when she doesn't at least take a guess at who he is - but believes it's the elephant in the room that nobody wants to confront yet. Within their stories are their friends and family who are pivotal to their growth but no matter the character, you see a form of dedication, commitment, and sacrifice. is really just girl meets boy and despite their situations, it's a relationship built on the basics of just getting to know each other without exterior factors.